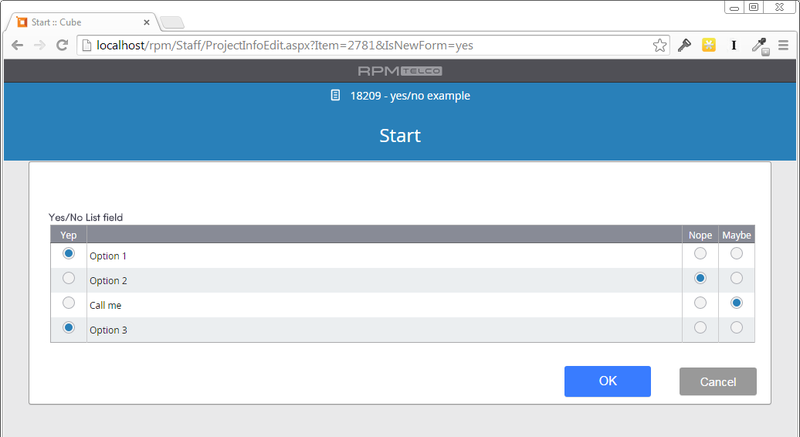 The following guide will introduce some of the details you need to take into consideration when interacting with yes/no lists via the RPM API. This guide will show a process template with a yes/no field setup with the options shown in the previous image. When displaying an entire form, any of the fields could be a yes/no list. 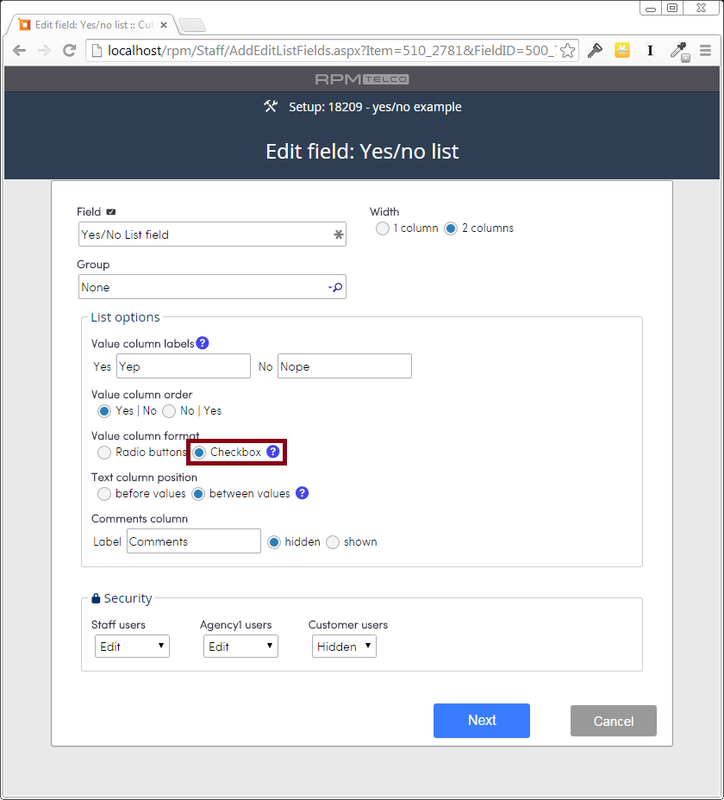 This section shows how to retrieve the data and how to interpret the data related to a yes/no list field. The ProcFields API endpoint returns the setup information for a process. 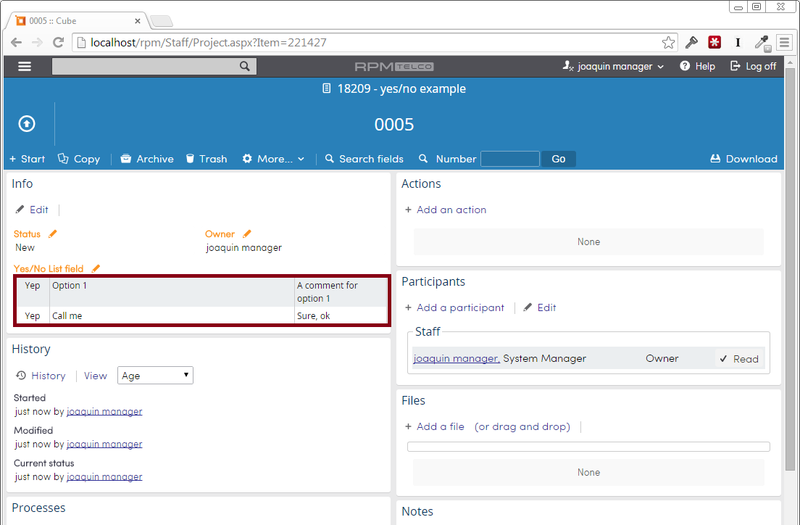 The following is an example based on a process setup with only one yes/no list field (as seen on the previous screenshot). The options to display in the list are available via the “Options” list. 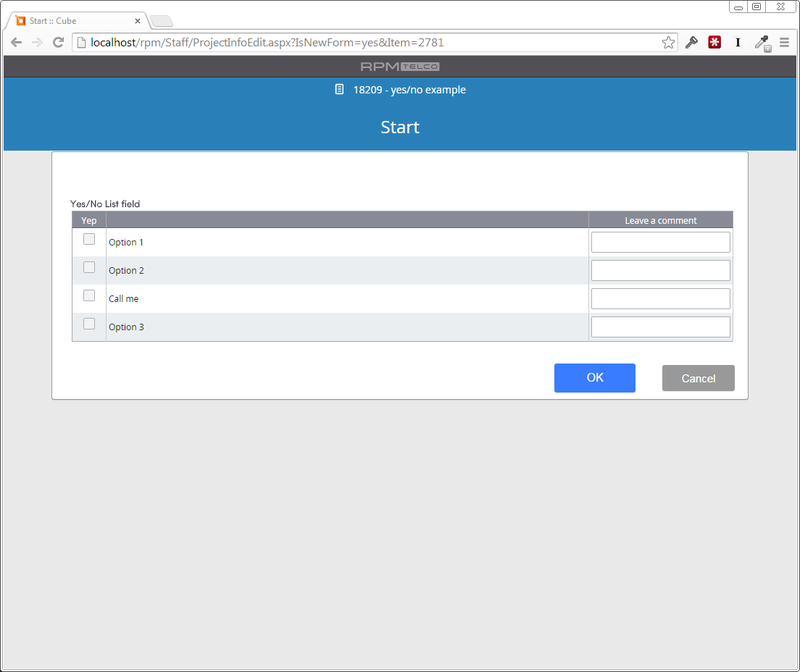 The ProcForm API endpoint, provides the data stored in one form. 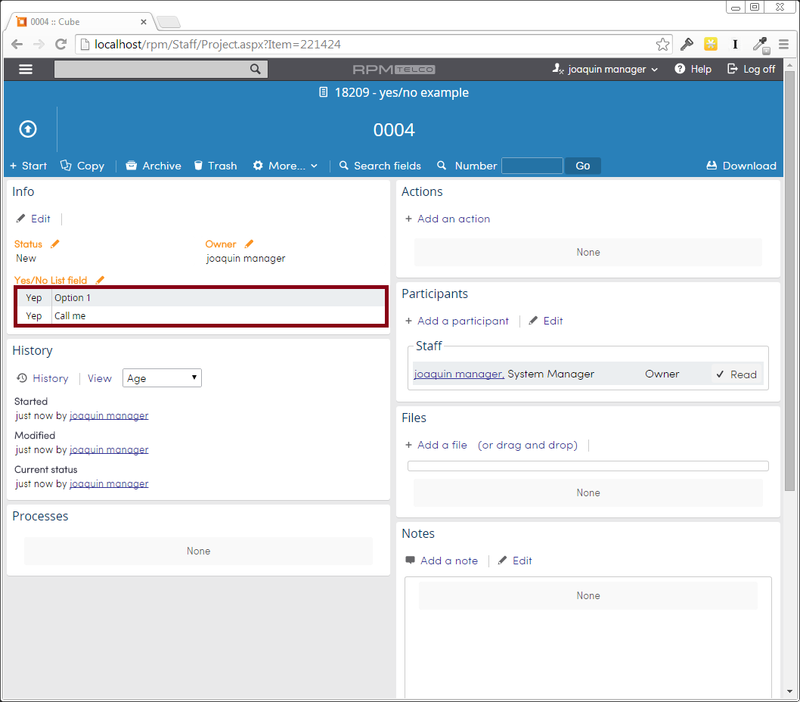 Use the “OptionID” key to match with the option text available via the ProcFields API call. Notice that options that have the “N/A” option selected (in this example “Maybe”) are not shown on the view. 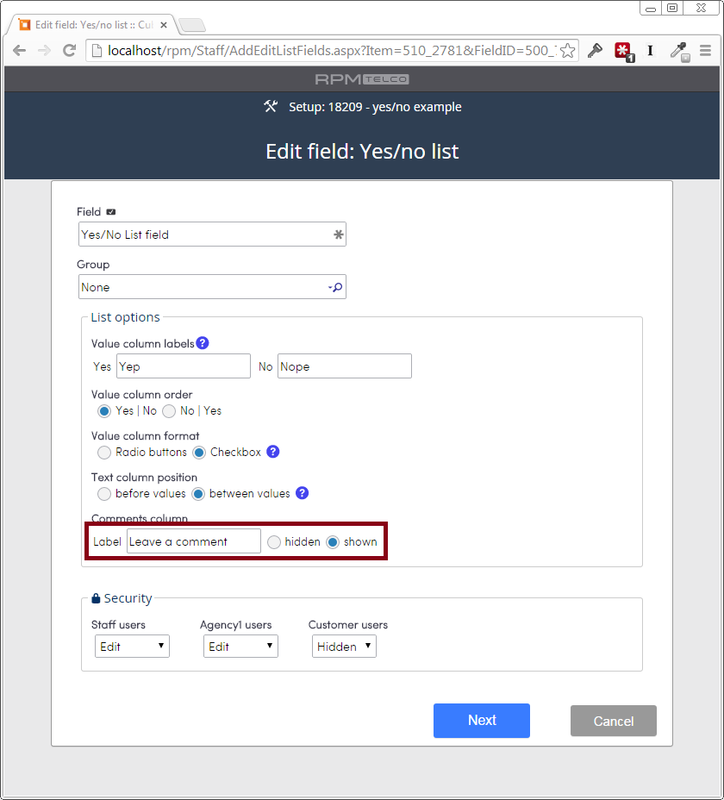 When the a yes/no list is setup to use checkboxes the Null option must be ignored as it’s not possible for the user to respond “not applicable”. Notice that “HideNull” is still false, but “RenderCheckbox” is now true. Notice that “ShowComment” now is true and “LabelComment” indicates the text to put as a label. 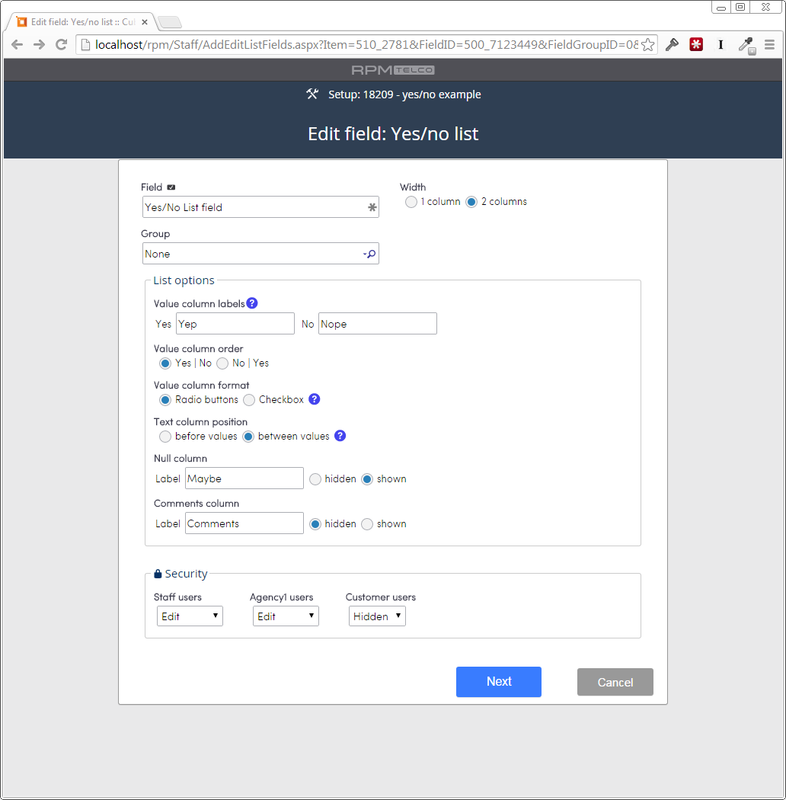 On the next article, we show how to add and edit forms that contain one of these yes/no list fields via the API.